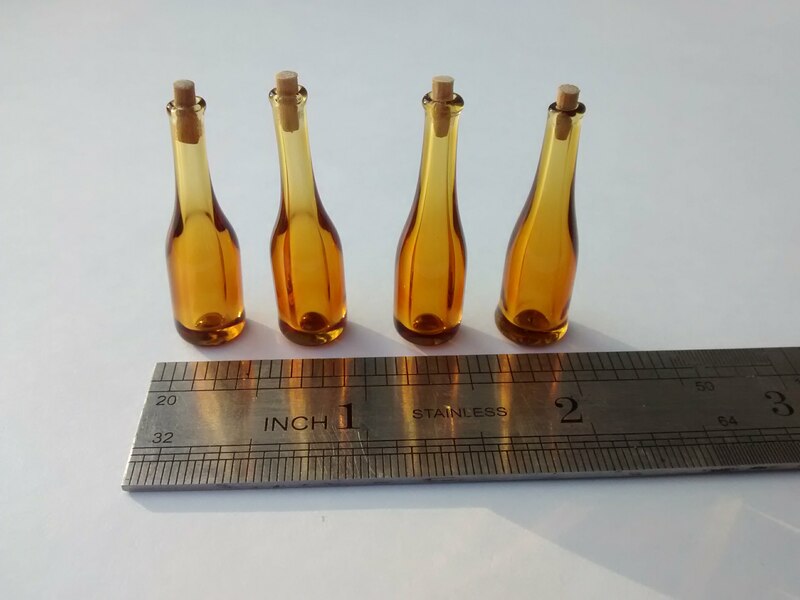 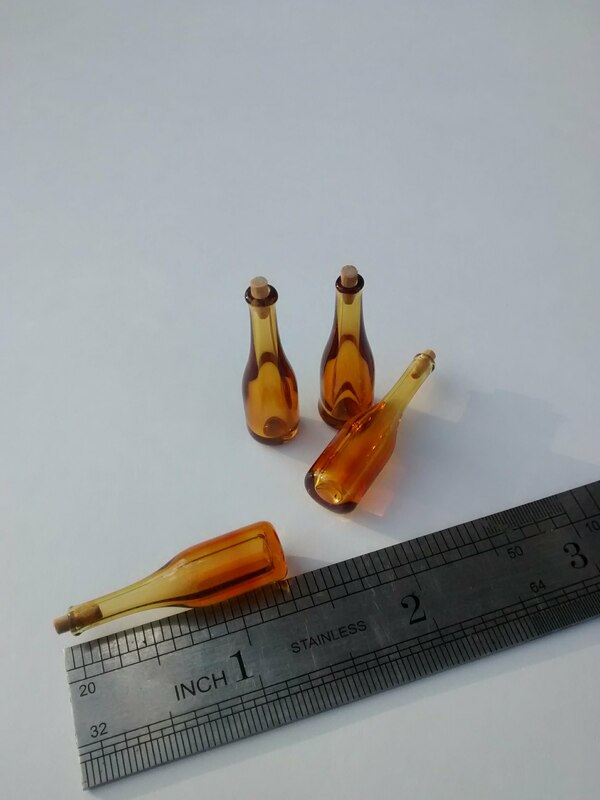 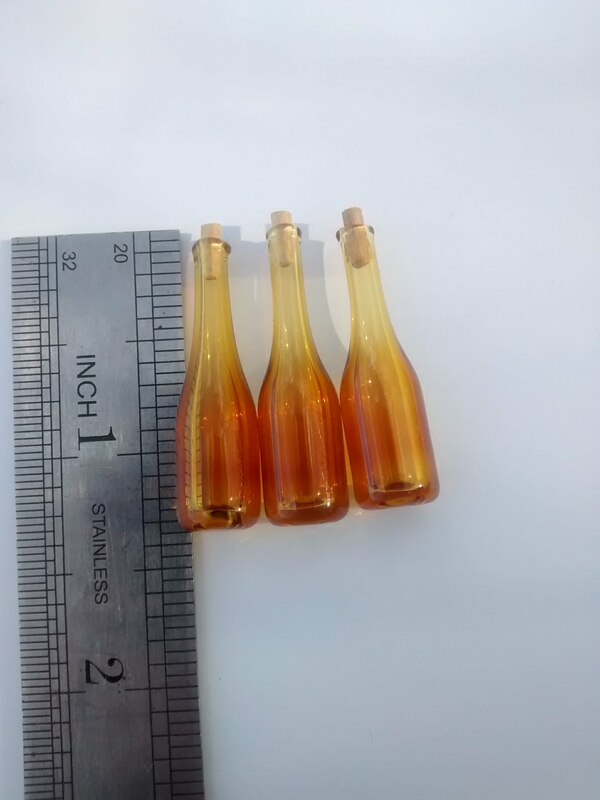 These mini wine bottles with corks are an adorable, premium quality addition to your dollhouse collection. 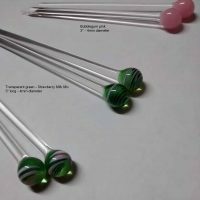 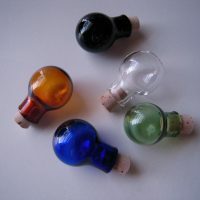 They would also be great for wire wrap jewelry such as unique wine bottle earrings, etc. 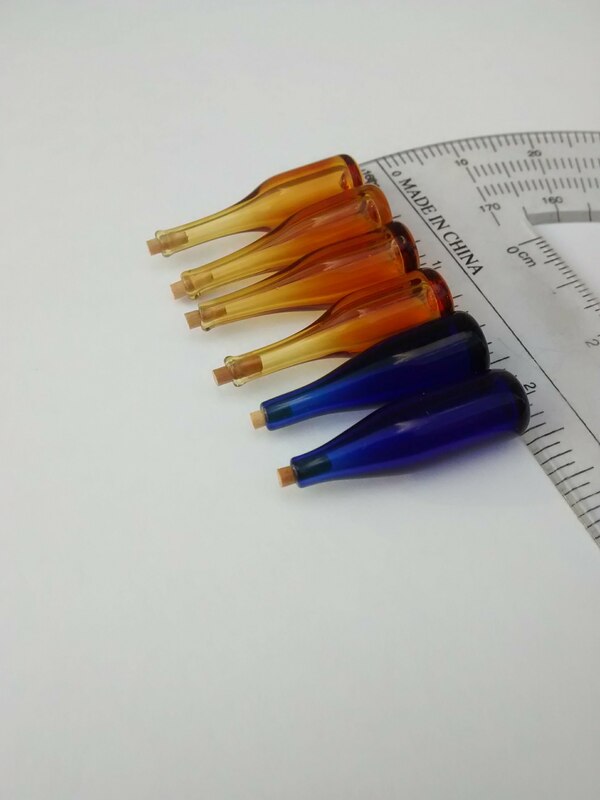 They are crafted individually by hand with quality borosilicate glass (Pyrex). 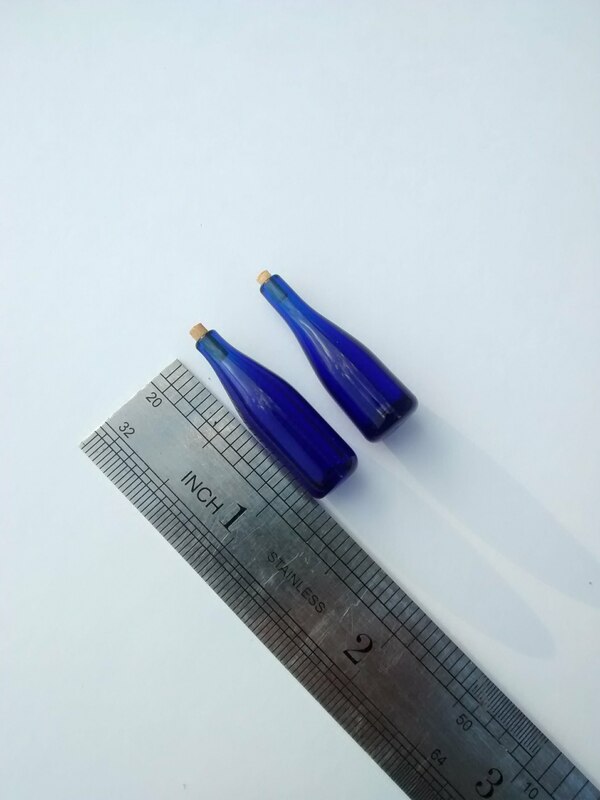 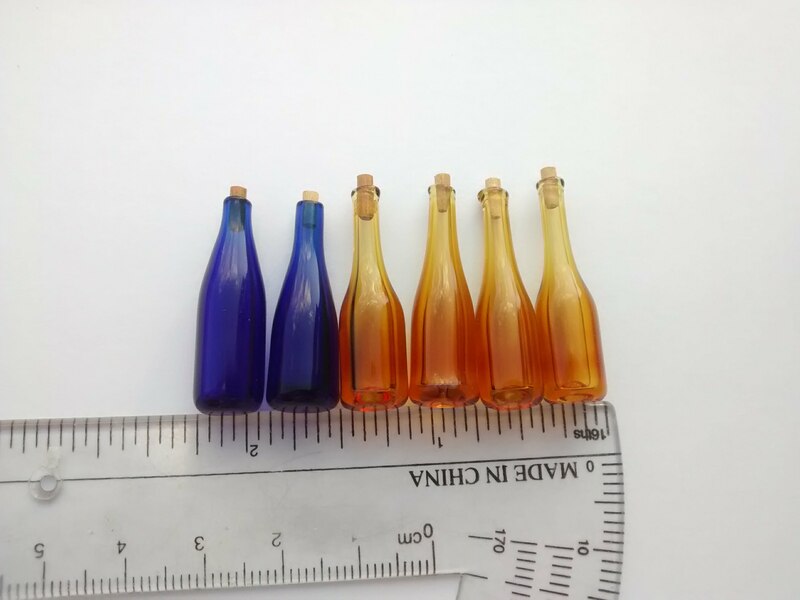 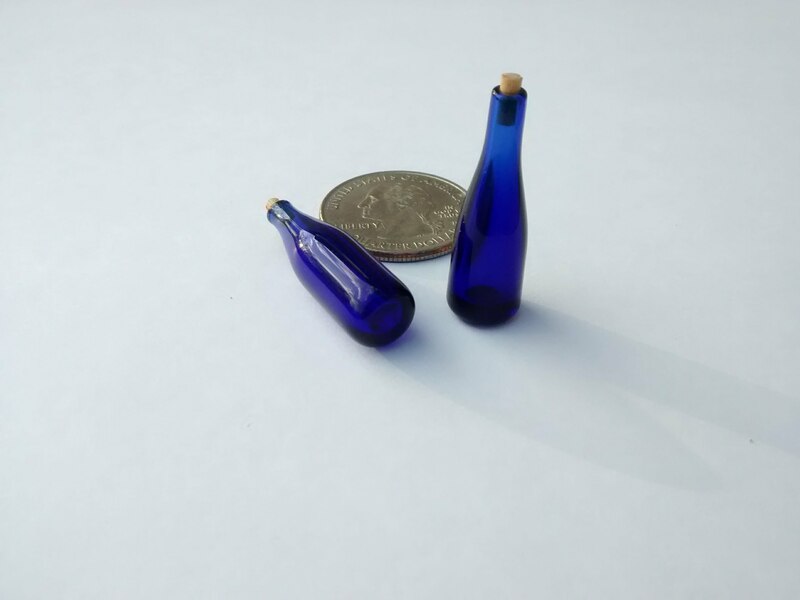 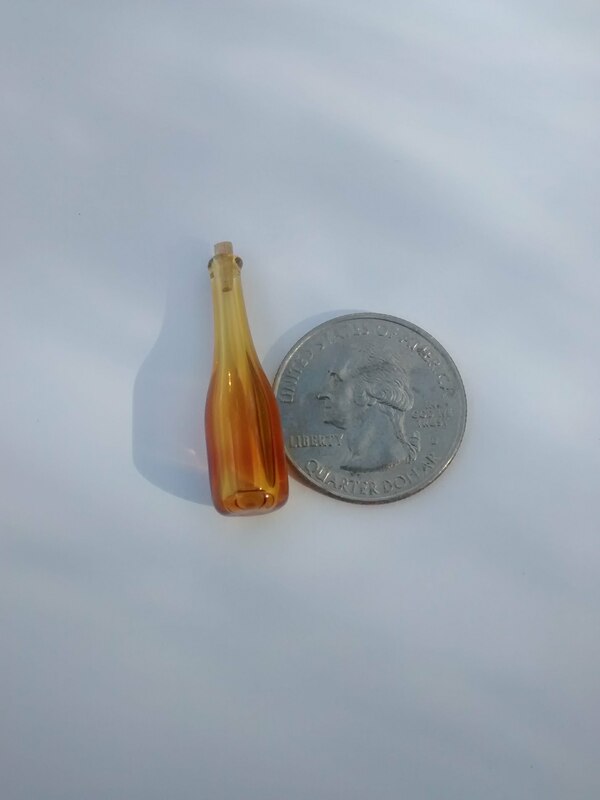 Handblown glass miniature dollhouse accessories in 1:12 scale. 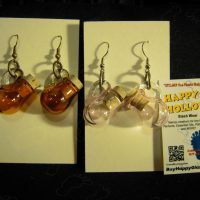 Each will vary as a handmade quality. 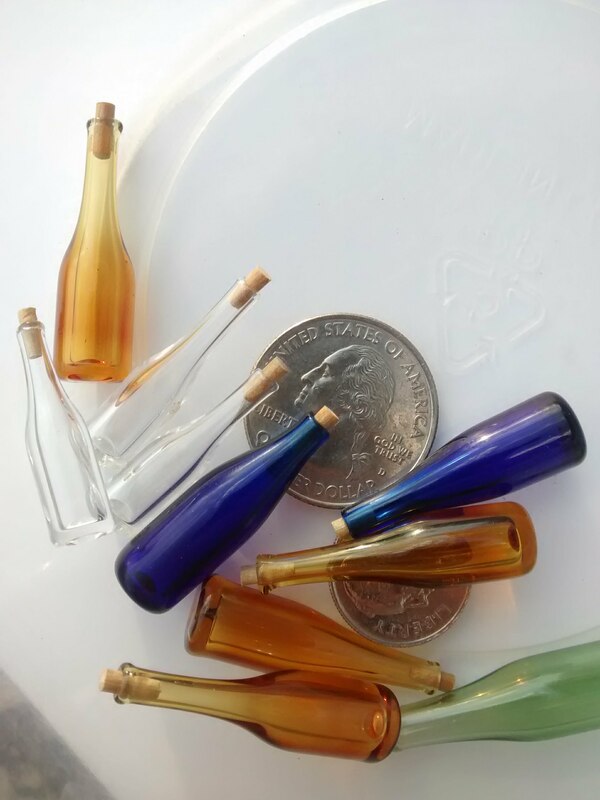 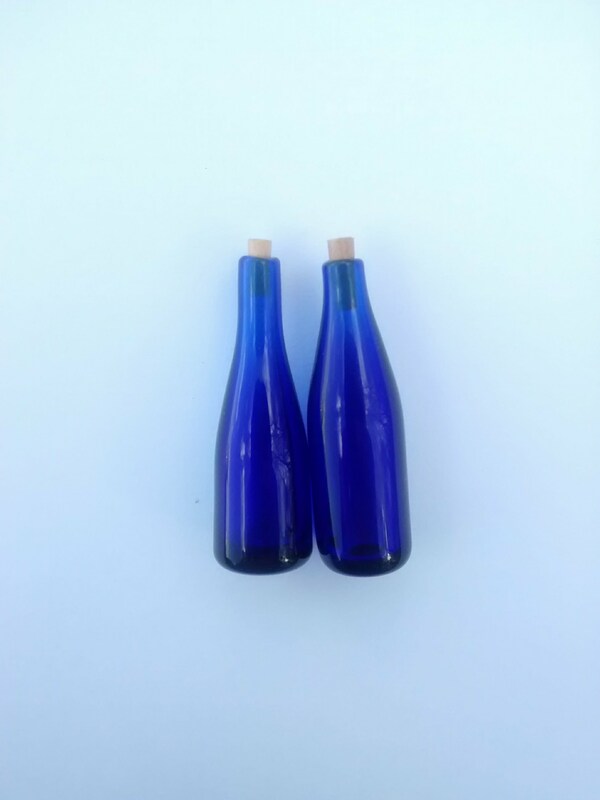 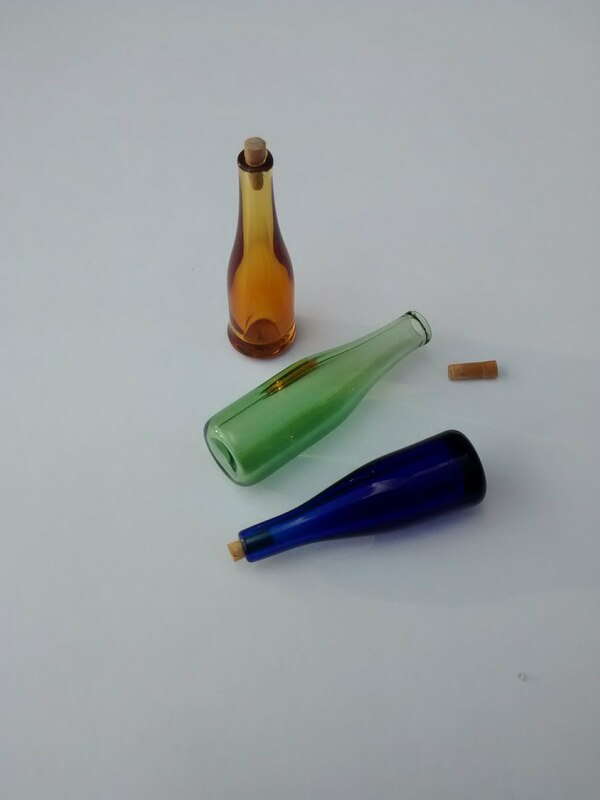 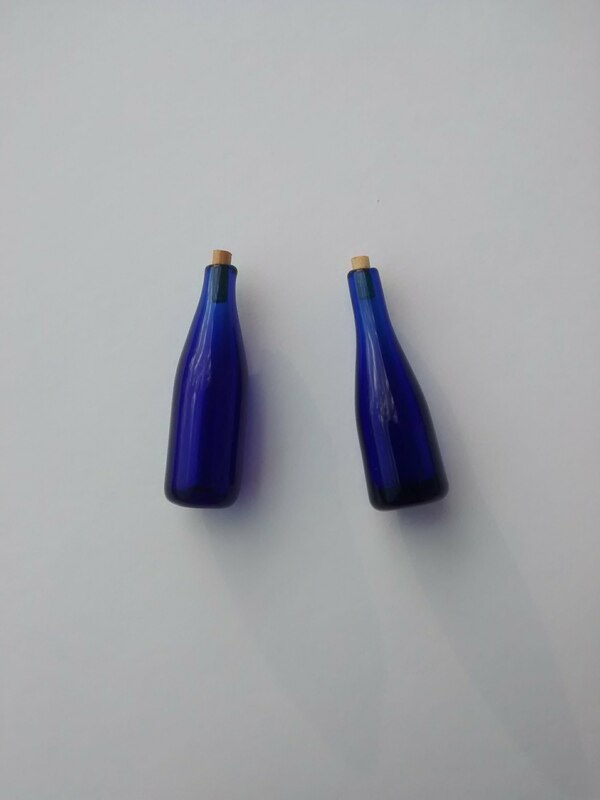 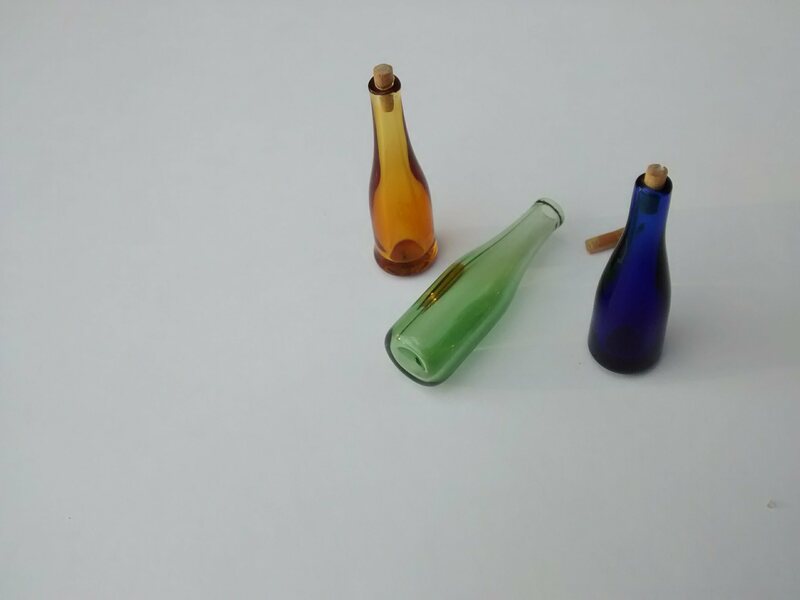 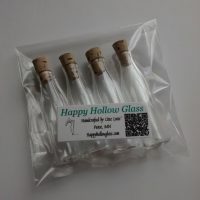 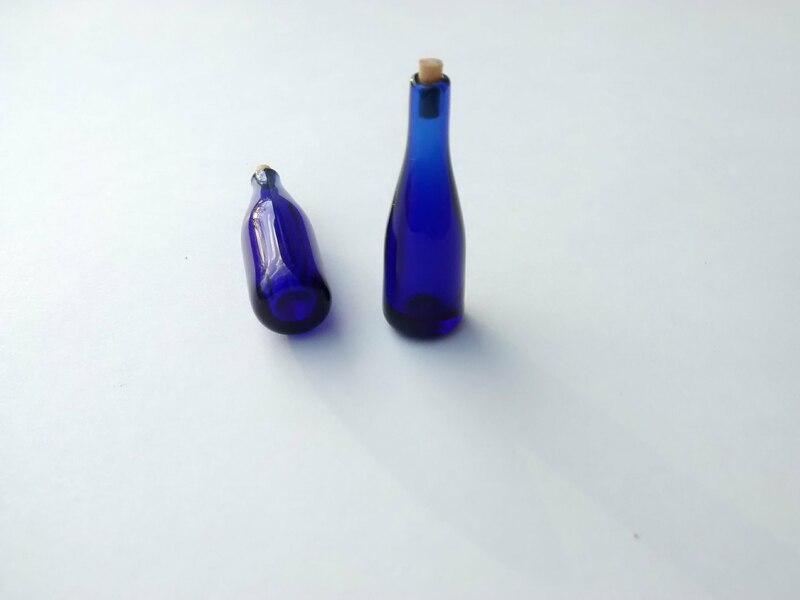 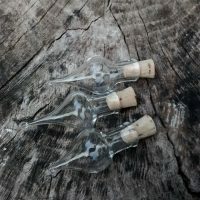 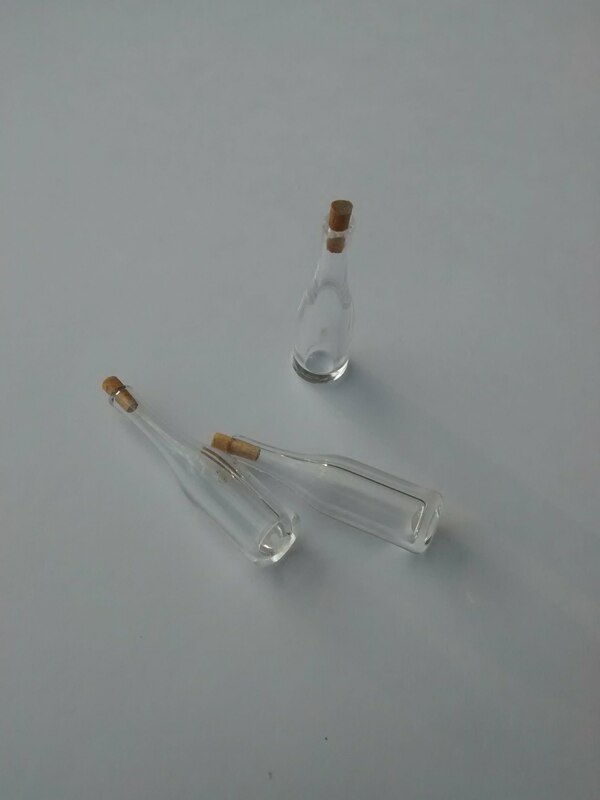 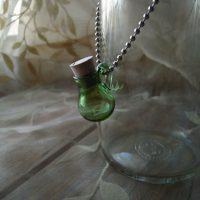 Every tiny glass bottle includes a handmade cork (made from wood). 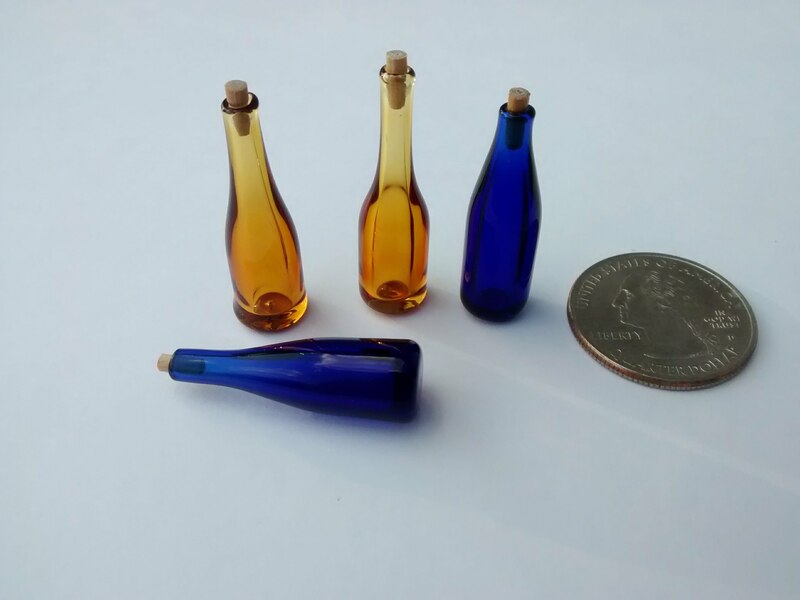 Glass is properly kiln annealed for maximum strength and durability.